I was looking for references of 3D compositions on products, just for studying. 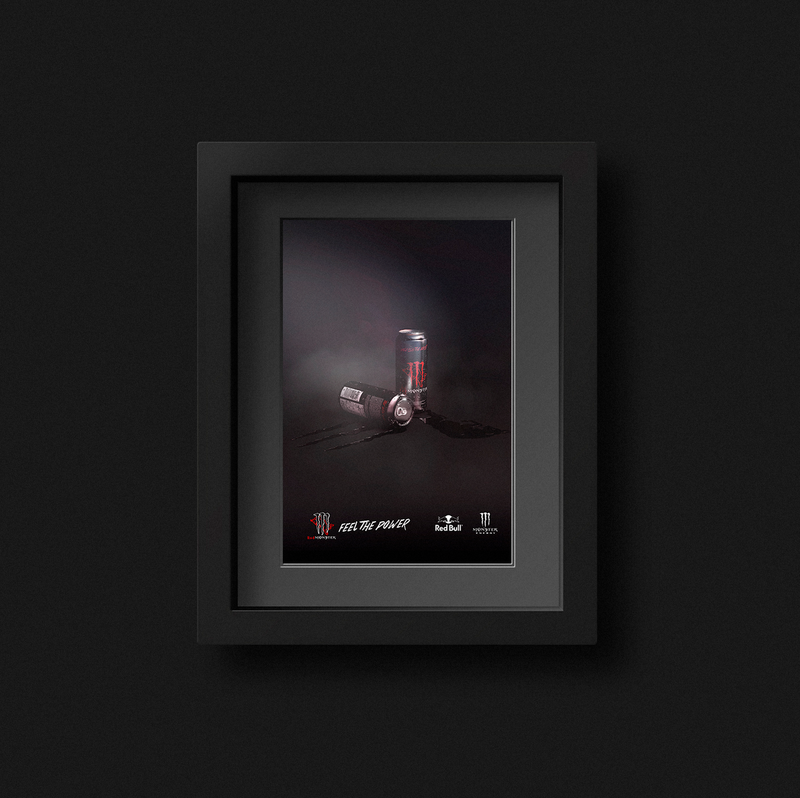 On the first projects, I saw the study case “RedBull Gold Wings”, made by Bianca Carvalho. The composition cought my attention. The accuracy of the details on the package, vibrant colors and a well balanced studio lights. My idea was to create a case study inspirated on her project. 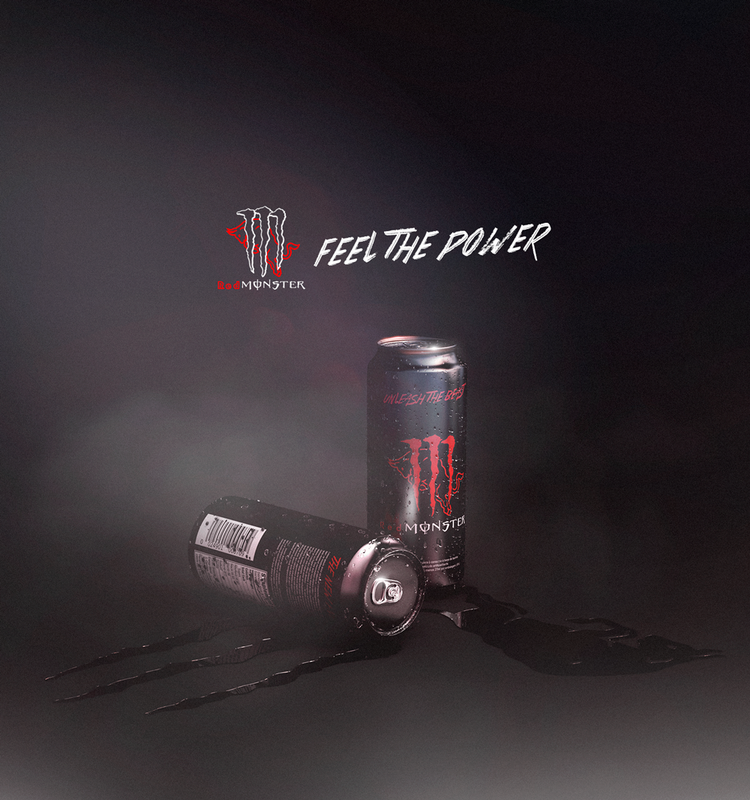 I spent a lot of time thinking about what could i create, then, the ideia came out and I decided combine the two trademarks, RedBull and Monster Energy, and turn them into one. My main idea was to combine the essence of these two trademarks. Energy, strength and power. The colors used on the Project were the main colors of each brand. I have prioritized RedBull’s red and Monster’s black. The Red means strength, and its main function was remember energy. The black, besides it contrast with the red, means mistery. 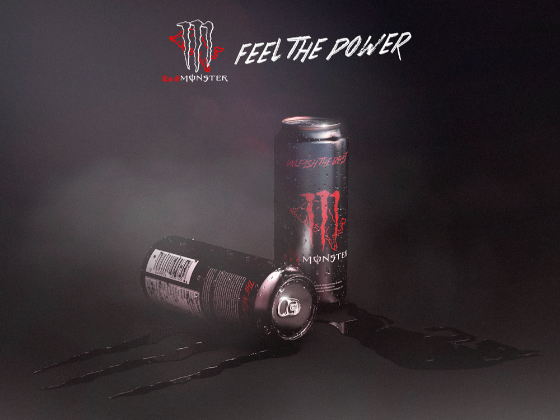 The label was created based on a RedBull model. The package composition and a final post-production was made on Adobe Photoshop CC 2017. 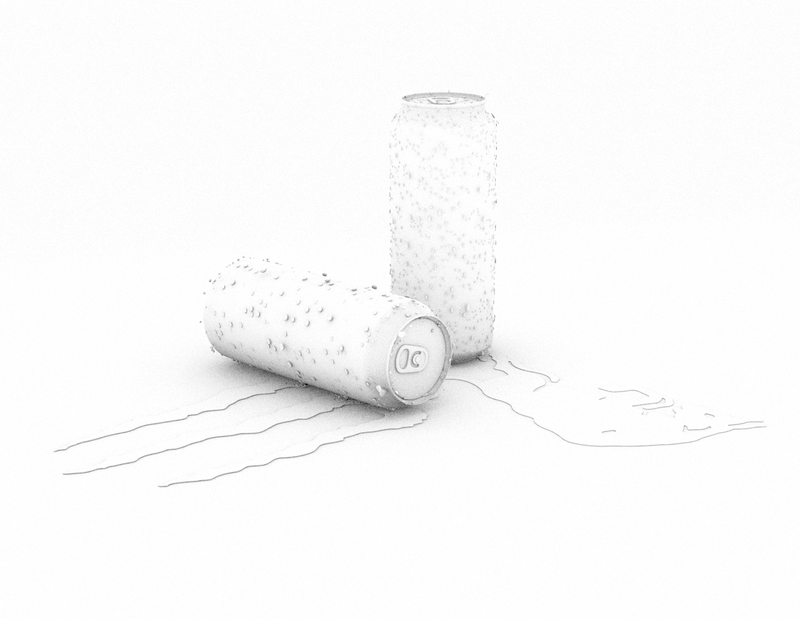 The can belongs to a library of 3D objects from Cinema4D. The materials of the scene, studio, lighting and liquid under the cans, were my own creation. The render used was the physical render. Details below the can. The essence of each brand combined, remembering a lot of the products keywords. Energy, strength and power.